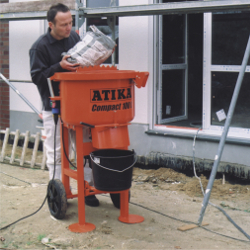 The ideal mixer for painters, floor and tile layers and plasterers. 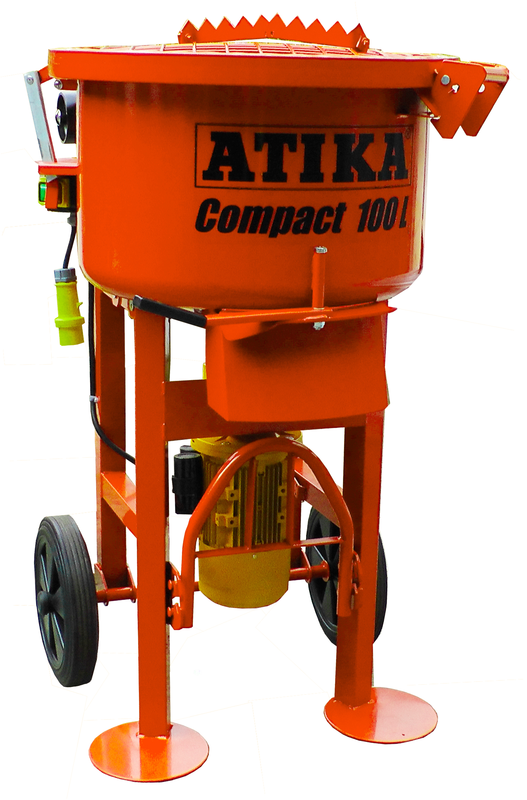 It guarantees high productivity, the best mixing results and offers extraordinary manoeuvrability on site. The large wheels enable transportation up and down stairs. Fast discharging into buckets and wheelbarrows by segmental slide in drum bottom. Centrally positioned operating switch with integrated quick-stop button and safety cut-out for drum lid. Fits through standard 28" doorways. Compact enough to be transported in estate cars and small vans. Offset mixing forks, paddles and scrapers guarantee extra-ordinary mixing results. No tools needed for detaching mixing mechanism for cleaning. Protective grid lockable for maximum safety. 3-way mixing mechanism with individually interchangeable paddles. Solid and robust for tough site conditions. 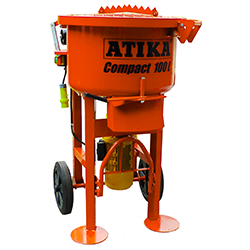 Bag scarifiers enable simple and well dosed feeding of mixer. Note: On 110v machines a 5kVA continuous rated minimum transformer size is recommended.